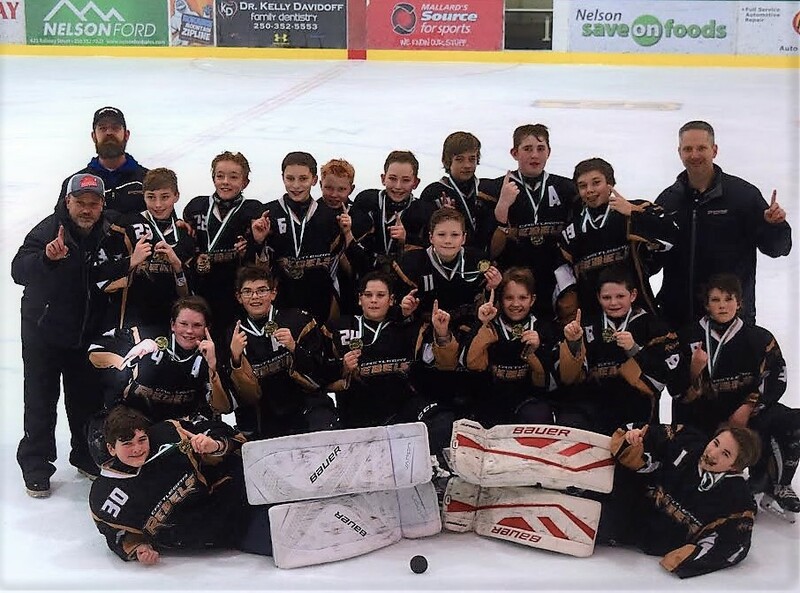 The Castlegar Pee Wee Rep team won the Nelson Pee Wee Tier 3 Tournament weekend before last, going undefeated, according to team manager Chris Sherbinin. "The team went 3-0 in the round robin play defeating the Revelstoke Grizzlies, Summerland Jets and Lethbridge Hurricanes," Sherbinin said. "They defeated the home town Nelson Leafs in the semi-final to face a formidable Summerland squad in the gold medal game. "The final was a fast-paced, close game that went back and forth with both teams exchanging goals. "The Rebels put the game away 5-3 with an empty net goal in the last minute. Congratulations to the Rebel players and coaching staff."